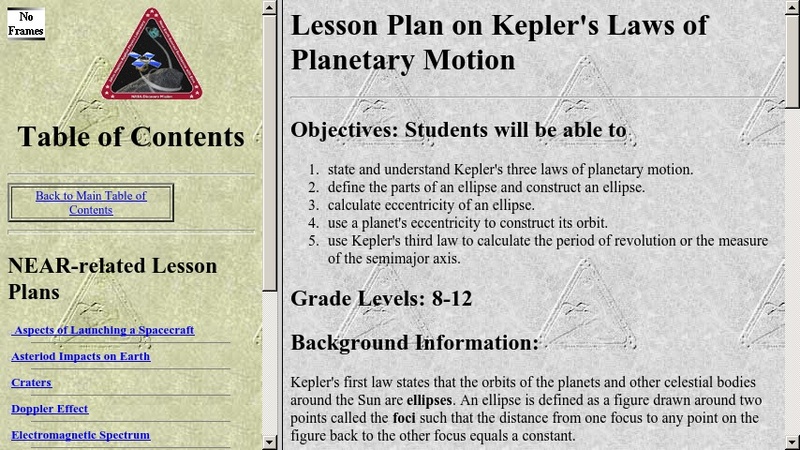 In this lesson, students will learn Kepler's three laws of planetary motion and learn about the properties of ellipses. The lesson includes an activity in which they construct the orbit of a planet, and use Kepler's third law to calculate its period of revolution. Objectives, background information, a materials list, instructions, and a student worksheet are included.